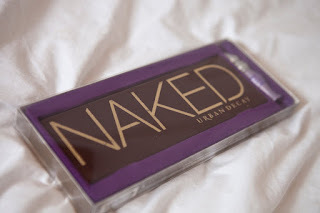 Handmade By Lalli: Urban Decay Naked Palette. Holy Moly!! Look what I finally bought. After hunting for months, 3 weeks ago I finally got my hands on the ever so famous Urban Decay Naked Eye shadow Palette. It was sold out on Urban Decay website, Ulta and Sephora. And people who were selling this palette in places like Amazon and eBay were minting money by charging twice its original price (ouch). I called up Sephora to find out about a Benefit product I was interested in and during conversation the sales executive told me that the one palette they had was on hold for someone and if that person does not turn up, this gorgeous beauty can be mine. Lucky me, I got it!! As is obvious I am a total sucker when it comes to eye makeup. Beauty for me lies in One's eyes. He he. 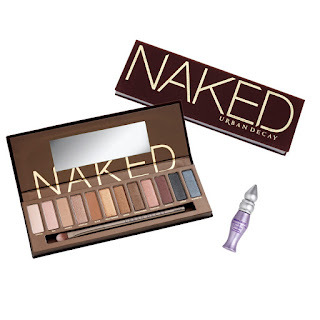 I am posting this to let you guys know this sinful palette is back again in the Urban Decay website. YAY!! Grab one before it goes out of stock.